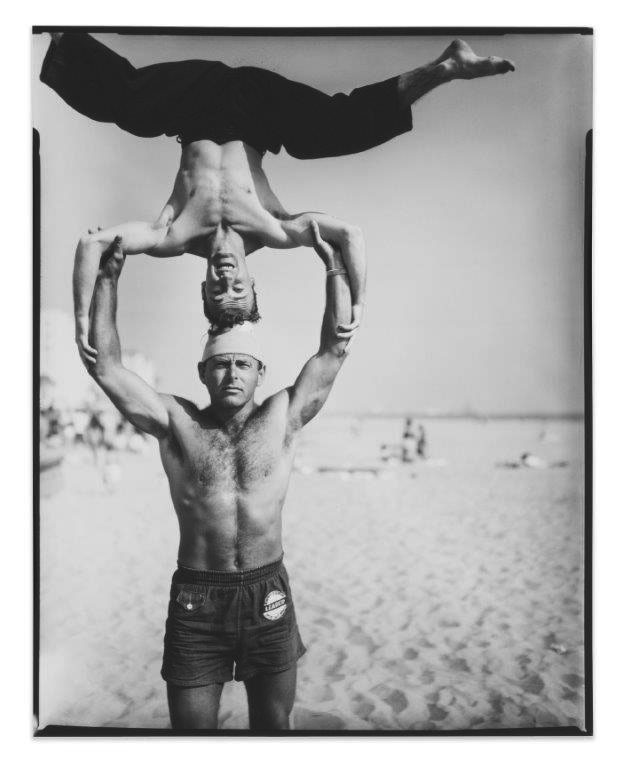 Headstand, Muscle Beach by Larry Silver. The photograph was taken in 1954, when Muscle Beach achieved world renown and sparked a health and fitness movement. The Body & Soul exhibition is a collection of prints, paintings, photographs and sculpture with an emphasis on works by Latin American art. Local, regional and national artists are also represented in this compilation of 50 works of figurative art representing diverse art periods, art movements, mediums and techniques. The collection was donated to the museum by Mr. Ortiz and Victor P. Torchia in honor of Mr. Ortiz’s brother, John Eloy Ortiz (1966-2008), who would have celebrated his 50th birthday this year. The exhibition remains open through October 23, 2016. Mr. Ortiz attended Housatonic Community College, and previously held the position as Curator at the Housatonic Museum of Art. During his tenure he recognized the rapid growth of the Hispanic population in Bridgeport and celebrated their contributions to the arts. His lifelong passion for collecting art began at age 12, when he was drawn to purchase an etching on paper at a Bridgeport tag sale for 50 cents. The work turned out to be created by Edith Nankivell (1896-1962), an American etcher and painter who exhibited in New York, Philadelphia, Washington and Boston during the 1930s and 1940s, and the piece will be included in the exhibition.